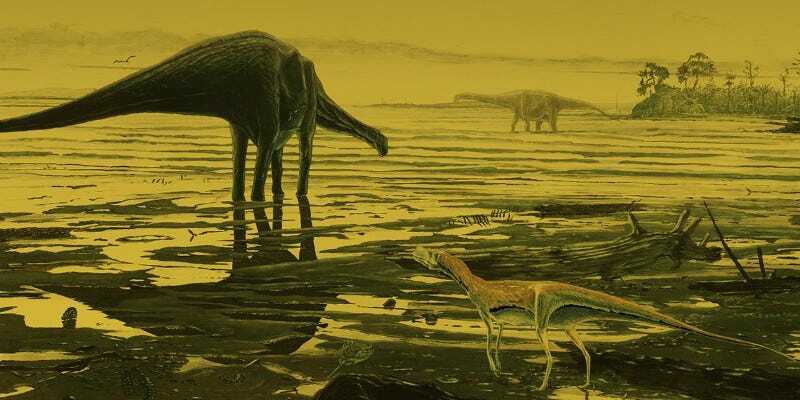 A team of researchers has happened upon several hundred footprints left by Middle Jurassic dinosaurs at a coastal lagoon in Scotland. The footprints measure around 70 centimetres across, which is larger than those that would have been left by T. Rex, and date back around 170 million years. In fact, the team that discovered the prints reckon they were left by early sauropods — large plant eating dinosaurs that weighed over 20 tonnes and could be as tall as a 7-storey building. Amusingly, Brusatte stumbled across the prints by accident, when returning to his car after an unsuccessful day of fossil hunting.